Ever since launching Cyan Forensics, people asked me “so how is it being a CEO?” or “is it very different from what you expected?”, and I’ve found it a very difficult question to answer. I have spent much of my career in and around start-ups, and the last 8 years as a consultant working closely with CEOs. I have pitched, strategised, planned, sold, hired, fired, set up processes and seen many successes, and failures. I’m still doing all those things – so how is it different? I’m fascinated by what is happening with the introduction of GDPR. Much of what I see posted on the internet seem to imply GDPR is a huge change, although perhaps this is because most of the content is generated by people trying to sell products or services to “ease the GDPR pain”. This is a little at odds with the messaging from the Information Commissioner, which is that GDPR is simply the “next step” and that most companies that already have good Data Protection Act controls and processes in place will not see much change. I’ve been working on GDPR for both Cyan Forensics (where I am CEO) and Blipfuture CIC (where I am a director) and I found two resources particularly helpful. This advice seems at odds with a lot of what I’m seeing posted on the net, but made perfect sense to me in terms of what I read in the ICO guidance, but potentially important in some B2B businesses especially. I’m not offering advice on GDPR as I’m just starting to find my own way around it – but I found these links useful and I hope you will too. With EIE 17 drawing close and our preparations to exhibit well under way, I was reminded of something a few people asked me about when I was preparing a 6 minute pitch last year. Then, I walked on stage and opened my presentation with the line “Hello, I’m Ian Stevenson from Cyan Forensics”. I was d elighted when I walked into the Copper Box Arena on Tuesday morning to find the huge “Scottish Pavilion” banner was in a great spot right on the main thoroughfare. The day started fairly slowly, more so than on Monday, but as was the case last year it proved very worthwhile. At Cyan Forensics we had one meeting arranged through CrunchMatch which was with a Corporate VC with an interest in our technology. We have at least half a dozen investors to follow up with from the visitors to our stand (some for the next round, some for later stage) and we met at least a dozen more where there clearly wasn’t going to be a fit – but might have been for another company. 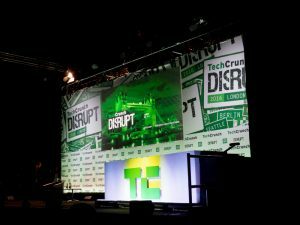 Here are some quick thoughts from Day 1 of TechCrunch Disrupt in London. 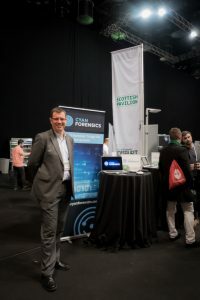 Just under a year ago I blogged about going to TechCrunch Disrupt with Cyan Forensics, and finished by saying “I hope to be back here again next year with the same company at a later stage of development” – well, the company certainly has developed, and I am going back. I also asked “Why not a Scotland pavilion next year?” and although I have been very busy with Cyan Forensics, that is happening too. There will be five of us in this first Scottish Pavilion, which I hope will continue to grow in future years. Thanks to everyone who has helped put this together! 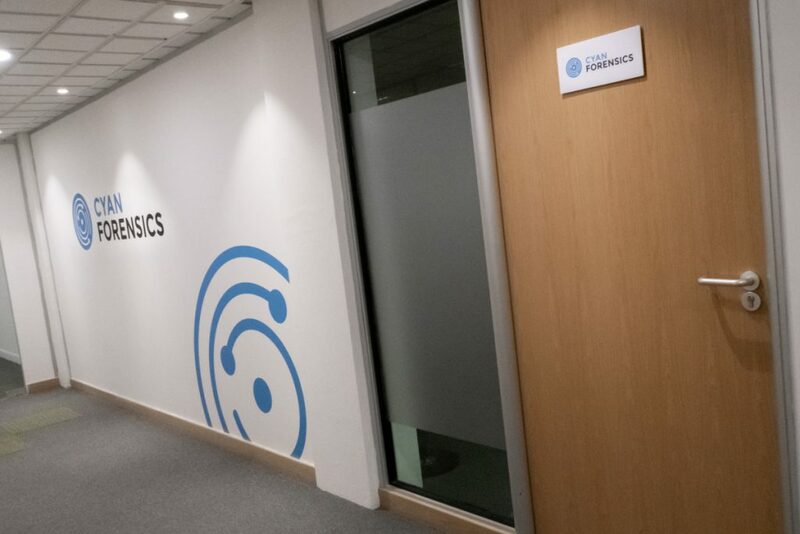 So it’s been a week of good news for Cyan Forensics, Edinburgh and Scotland, and I thought I would share some of the highlights. In my last post I wrote about how Start Global prepared us for TechCrunch Disrupt in London, which was the starting point of our fundraising campaign. Not long after we got back from that, we were delighted to learn that we had secured a place at EIE16. 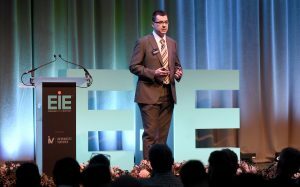 EIE is easily Scotland’s biggest and best investor event, and frankly in terms of organisation and slick professionalism it even outdid TechCrunch Disrupt in London. A benefit of being involved in EIE is the training process offered in advance, which brings a truly top-notch team of people together to help you refine your pitch and prepare to present to the best of your ability. I have previously blogged about what we put into the preparations for EIE. London: A Different View on Brexit – Salient Point on What does Brexit mean for Scottish Startups? Barry Hochfield on What does Brexit mean for Scottish Startups?